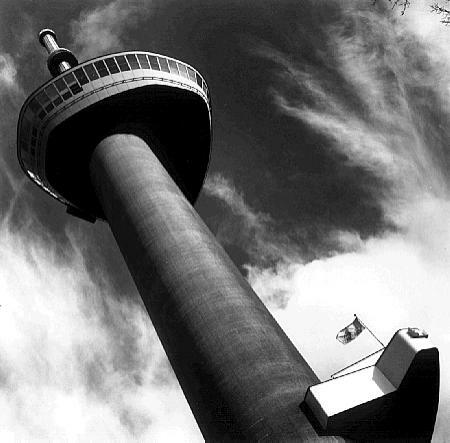 The "Eurotower" was erected in 1960 on the occasion of the national Dutch flower exhibition "Floriade". It solely serves as a belvedere overlooking the vast harbour area of Rotterdam. Negative 6x6 cm, Ilford FP4 rollfilm.